"Where is your father?" [the Pharisees] asked. 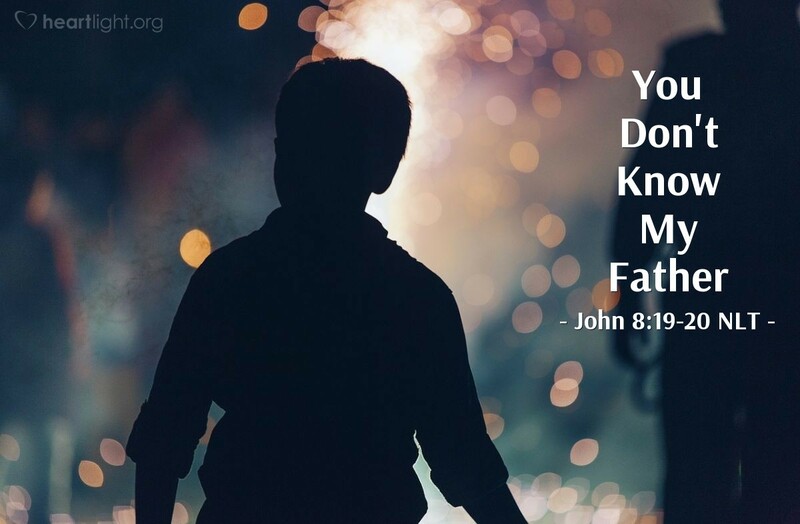 Jesus answered, "Since you don't know who I am, you don't know who my Father is. If you knew me, you would also know my Father." Jesus made these statements while he was teaching in the section of the Temple known as the Treasury. But he was not arrested, because his time had not yet come. People can be so incredibly gullible about charlatans and scam artists, yet push away those who genuinely want to help them. Many people who followed false messiahs and false teachers rejected Jesus. As Jesus does so often in the Gospel of John, he emphasizes that when they reject him, they are also rejecting the Father who sent him. Yet the very fact that the authorities cannot and do not arrest him till it is God's timing is testimony that Jesus is who he claims to be. Jesus continues his emphasis on the importance of our decision about him and our relationship with him. We do not have God if we reject him. It may not be very politically correct in many places today, but Jesus' exclusive claims remind us that being politically correct is not nearly as important as being eternally correct. Holy and righteous Father, it troubles my heart that so many people do not know Jesus or have rejected him as your Son and their Savior. Please open the door of the hearts of the millions who need to know Jesus. Bless those who have crossed cultural and language barriers to share your grace. Bring a deep longing in the hearts of the people of the world to know Jesus, in whose name I pray. Amen.